This woman. I can’t even tell you how deeply the conversations we had with her moved me. She put her heart and soul into this movie and that passion just gushed out of her. It was contagious. To feel the positivity and love that went into this film and the REASONS that she did it. It is so moving. I just really wanted to make a film for kids right now. I don’t have children. I don’t have children by choice. I always said that my films are my children. You know, I put my blood into them. It’s really what has my name on it. It’s what I’ll leave behind in the world. We approached the story in a way that we were always thinking of young people but then also with the young people that we had on set making sure that they felt safe, and that their voices were being heard because I was really listening to them a lot about what’s cool, what do the kids wanna see, you know. What they said surprised me. They liked not to be talked down to and a lot of times in kids movies, you know, they’re always trying to get kids to laugh. Yes, kids like to laugh but kids also like to think. They like to feel. The first 30 minutes of the movie it’s just about Meg. There’s no magic. For 30 minutes we make you sit down and sync into the heart of a young girl and she’s trying to figure out things, struggling at school, struggling with the bullies, struggling with an absentee father, all those things. We demand that you just look at girl for 30 minutes before the fantasy magic happens and so that really came from Storm. It came from Levi, the boy who plays Calvin. Meg is a character that is so strong, and powerfully speaks so many messages that will resonate deeply with young girls. Ava spoke to use about Meg and what she feels Meg represents and how she could relate to this character. Mindy said something really incredible. She said that she loved sci-fi growing up but sci-fi didn’t love her. She never got to see herself in it as a girl but particularly as a brown girl, specifically as an Indian girl with dark skin she said and so to be able to in a film where there are representations of her, representations like Storm was so important to her. I think it was the same thing for me, you know. Storm’s a little girl from the inner city. We’ve moved the book to be in the inner-city, from the book to the movie. A little girl from the inner-city who wears glasses, who doesn’t know how fantastic she is and I related to that. I remember being that. I remember dreaming about all the things I wanted to be and not knowing if I could be them. Not seeing anything in my world beyond my mom who loved me and my family who loved me to tell me you can do it and nothing else said you can do it. Nothing else said you can do it. School didn’t say you can do it. Society didn’t say you could do it. Nothing said you could do this. Nothing said you can be here and direct this movie. You know, nothing said that you can do any of it and so you have to find it in yourself and that’s what this book says. That’s what the movie is saying and so I related to Meg very much, very much. Ava really emphasized that this movie was made for YOUNG people. And when you watch it, you need to find that 8-12 year old version of yourself and watch it through those eyes. Allow yourself to go there and remember what that was like. Be open to taking in the movie in this way, and you’ll get the most out of the messaging that the movie is working hard to send. I really, I really want it to be a seed that blossoms into something beautiful in young people about the way that we treat each other and the way that we see ourselves and the way that we’re seen and so that’s really what I’m hoping. I mean movies have the power to do that. You know, movies have the power to do things that politics doesn’t even do. You know, it reminds me of the time when kids who had HIV would swim in a pool and they’d drain the pool because people didn’t even understand what that was and it wasn’t CDC reports or politicians that changed people’s minds about that. It was images, stories. It was Philadelphia. It was Angels in America, you know, the play. You know, it was stories of human beings going through it that made people think oh, okay I don’t have to be afraid of this and so stories are powerful and so I believe in this story. I believe in this story to be able to plant seeds with young people at this time. There’s a lot of division and darkness in the world to be able to say you could be a light and that if your individual light shines. Oprah always says it’s easier to for one light to illuminate a dark room. So if we were the darkness in this room and someone just turned on one candle there would be light in the air. But it’s really hard for light to drown out– darkness to drown out light. 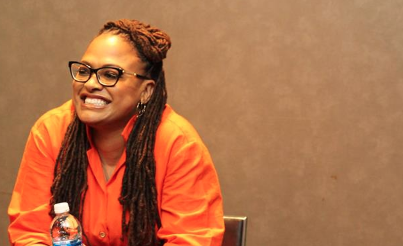 She went on to speak more to what she wants to leave behind as a legacy with these films and I love SO much that it’s all truly a labor of love. I just want them to be meaningful. I don’t want them to be junk food where you come in, you see the movie and you walk out and you forget about it by the time you get to the car. I want the images to stick to your ribs like soul food. I want you to think about the stories, get something from the narratives or the way that the camera moves or the way that something looks. You know, just try not to let it be empty calories, and the only way to do that is to put love in every frame. I think people think I sacrifice something because I don’t have a family and I work all the time but it’s not work to me. It’s like I’m living my dream every day when I walk out of the door. My dream was this. Some people’s dreams is family and children. My dream was making movies to leave in the world and so I get to do that every day and I get to have family on set, you know. They know my name. I know their name. 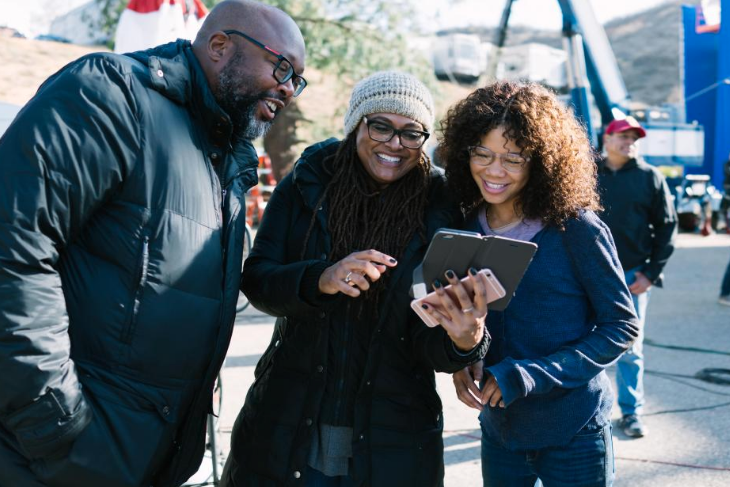 I walk up to the set and I get love from hundreds of people every day who are happy to be there and happy to do their work and so I hope some of the way the films I’m making leave a mark but also the way we mad them, you know, what I mean. 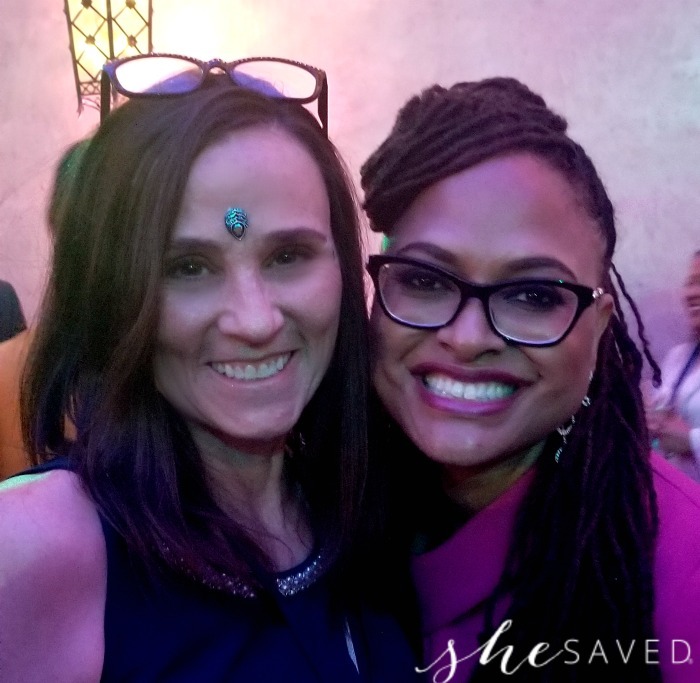 Oh Ava, what a wonderful gift you have given all of us with not only this film … but the messaging that is there for young girls that need it. Even for just ONE girl who needs to hear this. Who needs to related to Meg in this film and let her know that she is enough. She deserves to be loved. Thank you, Ava. It was a true, true honor to meet you! !